The aim of this manual is to enhance understanding of ecosystem services and their valuation. The specific target group comprises governmental officers in planning units and field-level officers and practitioners in key government departments in Bangladesh responsible for project development, including the Ministry of Environment and Forests and its agencies. Most of the examples and case studies presented herein, therefore, are tailored to the Bangladesh context, but the general concepts, approaches and methods can be applied to a broad spectrum of situations. 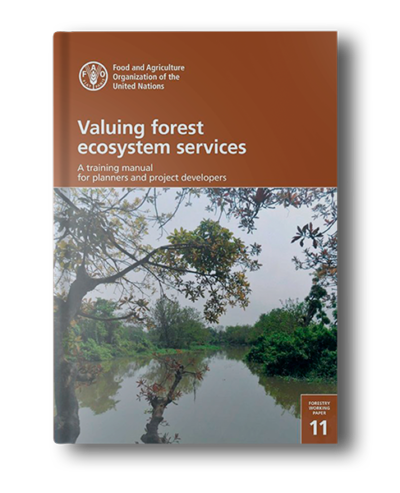 This manual focuses on valuing forest-related ecosystem services, including those provided by trees outside forests. It is expected to improve valuation efforts and help ensure the better use of such values in policymaking and decision making. The study, published by FAO, includes contributions from our team and the TESAF Department of the University of Padua.